I love meat. Obviously. Some of my favorite dishes are meatballs, steak, carnitas, and salads with bacon. By now we all know that consuming meat is not good for the environment, so I try to do my part in balancing out the universe by eating vegetarian meals a few times a week. On Monday, I inadvertently had an almost meat-free day. 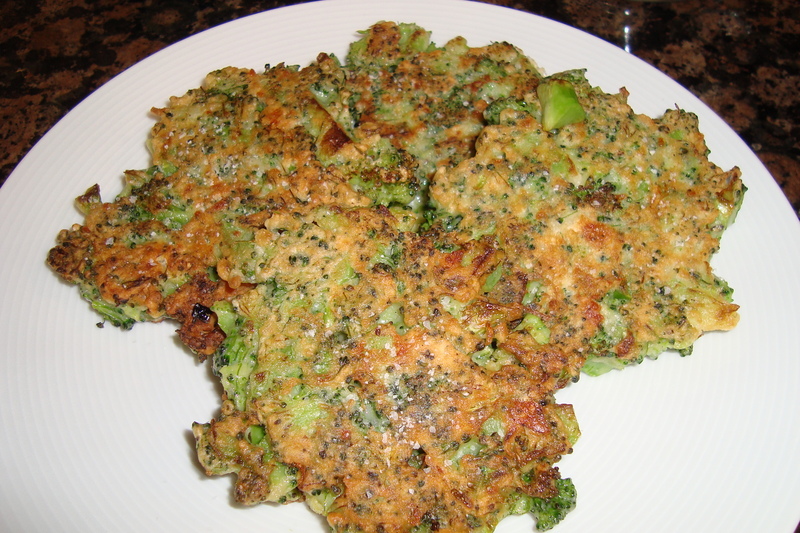 Lunch – Broccoli Parmesan Fritters from Smitten Kitchen, with apple sauce. The savoriness of the fritters was perfect with apple sauce. Dinner – Portobello mushroom sandwiches and macaroni salad. The slice prosciutto on the sandwich could be omitted to make the meal vegetarian, but I really enjoy the hint of salt it brings to the sandwich. Do you ever deliberately eat vegetarian meals? The portabello sandwiches look FABULOUS!!! What else do you put on the sandwich? I seriously LOVE portabellos! Prosciutto, provolone, and basil aioli. It’s the Pioneer Woman’s recipe, and they’re so easy and tasty that we’ve made them 4 or 5 times in the past few months.